Leyla Erk McCurdy has over twenty years of experience in public health and the environment. Working with experts and other stakeholders, she has created a variety of tools and resources, which have been endorsed by leading health professional organizations and are widely used by healthcare and public health professionals. 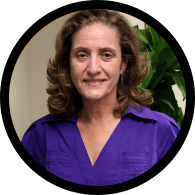 She has been instrumental in creating thousands of pediatric environmental health champions around the U.S. and developing model environmental health interventions which have been successfully implemented in numerous communities. She is the primary co-author on “Environmental Management of Pediatric Asthma: Guidelines for Health Care Providers”, published by the National Environmental Education Foundation. She has given numerous presentations, organized conferences, conducted continuing medical education training sessions, led public education campaigns, and developed a variety of environmental health publications. She has published articles in peer- reviewed journals, including Environmental Health Perspectives, Archives of Pediatric and Adolescent Medicine, Health Promotion Practice, and Clinical Pediatrics. Currently she is an environmental health consultant and director of Climate for Health at ecoAmerica. She serves on a number of expert committees, including U.S. EPA’s Pesticide Program Dialogue Committee, and recently completed service on U.S. EPA’s Children’s Health Protection Advisory Committee. She is the founder and chair of the Children’s Environmental Health Committee of the American Public Association. She holds a Master of Philosophy in Chemistry from George Washington University. Her work experience includes the National Environmental Education Foundation, American Lung Association, Johnson & Johnson, and the Rubber Manufacturer’s Association. She has been recognized for her contributions to the environmental public health field and recently received the Distinguished Service & Professional Achievement Award from the American Public Association’s Environment Section.